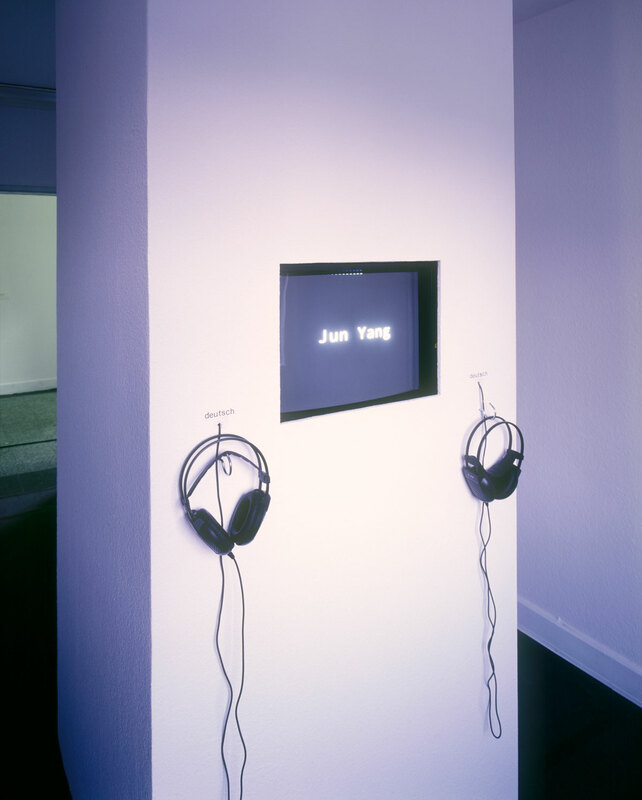 Jun Yang and Soldier Woods was at first a lecture performance; it was produced as a video for the Manifest 4, Frankfurt, 2002. 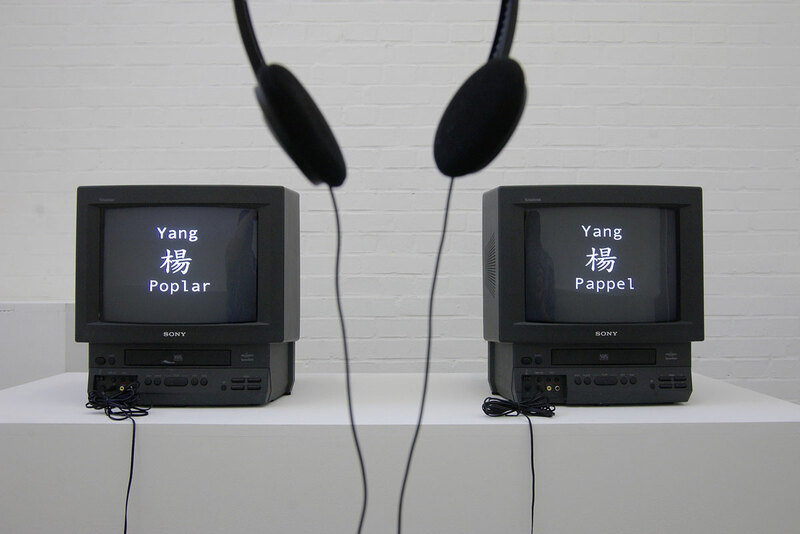  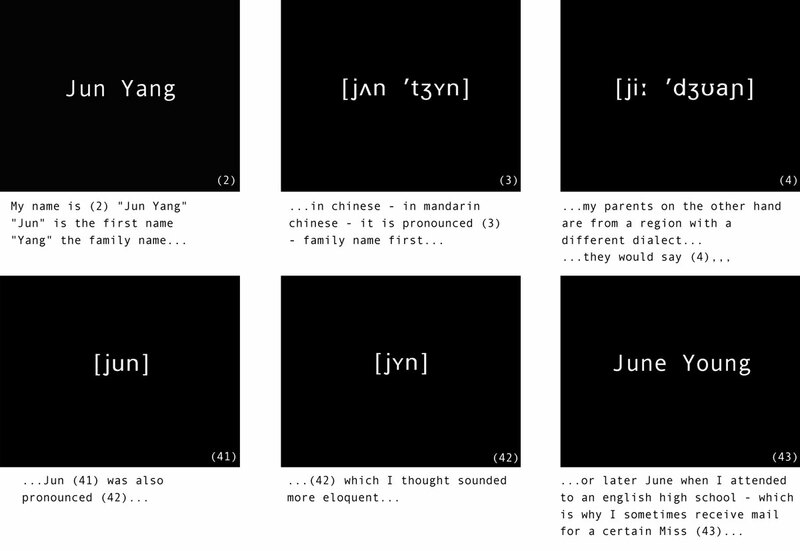 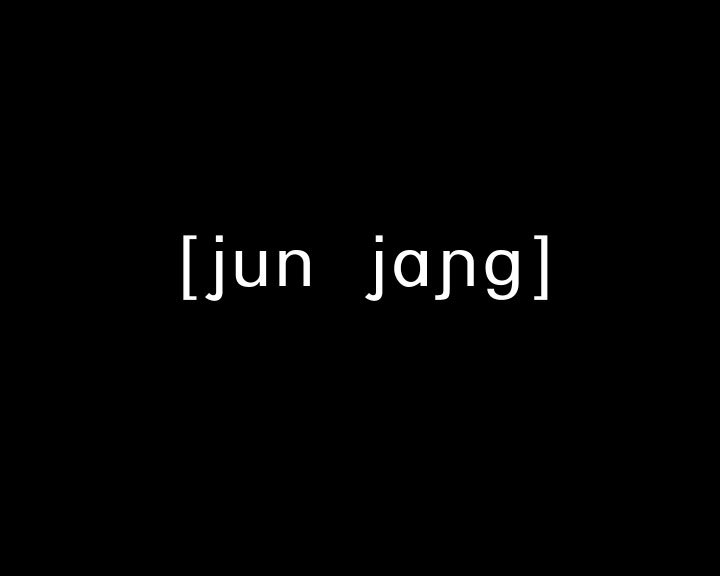 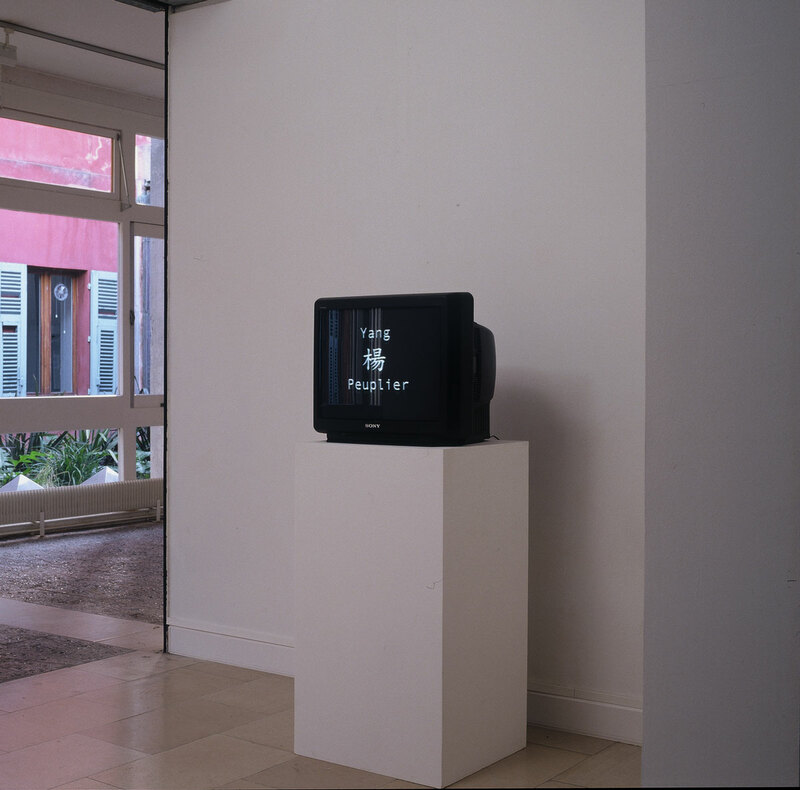 The video is shown in two languages: on one screen Jun Yang and Soldier Woods (English) and on a second screen Jun Yang und Soldat Holzer (German). 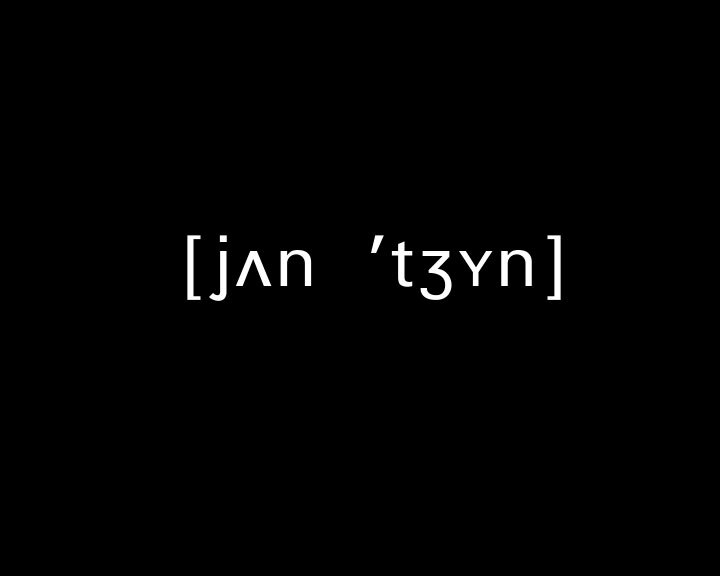 The title of the work, and the translations in the video change according to the language of the place the work is shown; so far it has been translate into German, French, Polish, Swedish, Norwegian.